Autumn is a really exciting season for watching birds, because this is a time of mass movement. Birds that have spent the summer here fly south, and others join us from the north. Some are just passing through, and a few of those might even be visiting by accident. On a day out in the countryside you never know what you might see. Flocks of ducks and winter thrushes, graceful swans and honking geese. Our lakes, marshes and wet grasslands really come to life as the autumn arrivals pour in. Imagine the epic journeys the birds have made. 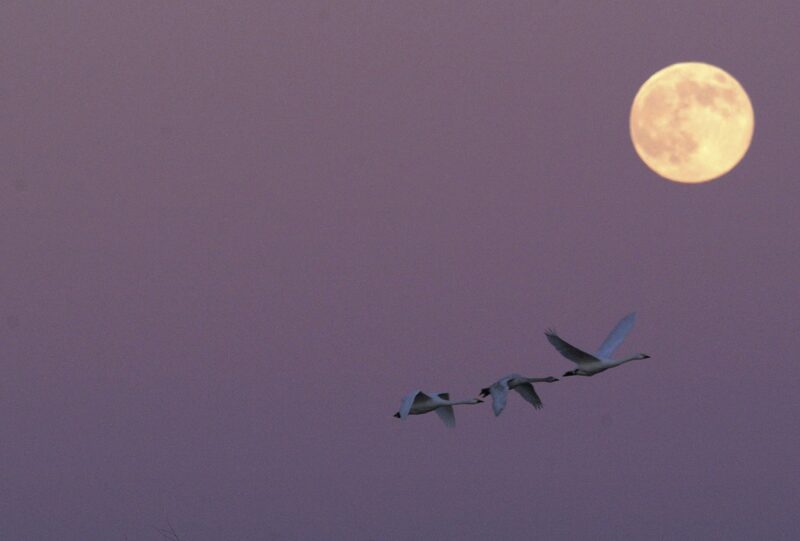 The Bewick’s swan, for example, will have travelled an incredible 4,500 miles (7,242 km) from Russia. Knot, turnstones and light-bellied brent geese fly in from Canada and Greenland, flying distances of up to 5,500km (3,400 miles). Birds like these will have spent their breeding seasons on the tundra, many in areas where there are 24 hours of sunlight during the summer. They may have encountered polar bears, snowy owls and lemmings before setting off to cross oceans, glaciers and volcanoes to reach our shores. Some of these travellers may even turn up in your garden. Redwings from Iceland and Scandinavia and fieldfares from Scandinavia and Russia are here to feast on berries. During last winter’s ‘Beast from the East’, many of these birds, which are in the thrush family, were seen on lawns and bird tables after food supplies in the countryside ran out. So why do they come here? Compared to their breeding grounds in the Arctic and even countries to the east on the same latitude as the UK, it’s much warmer here. We also have an extensive coastline along with plenty of estuaries, mudflats, marshes, and lakes: ideal for the many wildfowl (ducks, geese and swans) and waders that come here to find food. There are places where generations of birds have returned for hundreds, perhaps thousands of years: so it’s particularly important that they are protected from development or disturbance. After all, birds don’t have satnavs to find new places to spend the winter. Here at the RSPB, we believe it’s vital that after Brexit we maintain strong environmental protections to ensure these birds always have somewhere to go. Why not wrap up warm, and head out to enjoy watching these winter wanderers? 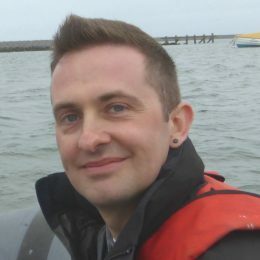 The RSPB manages three sites here on the English/Welsh border: Burton Mere Wetlands, Parkgate and Point of Ayr. 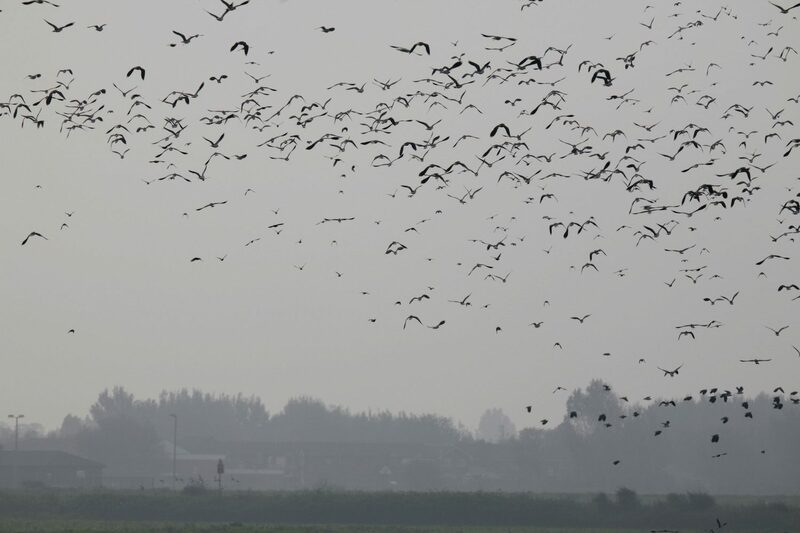 Enjoy stunning views of the Estuary and flocks of waders, and join the dusk raptor watch sessions at Parkgate as birds of prey come down to roost. 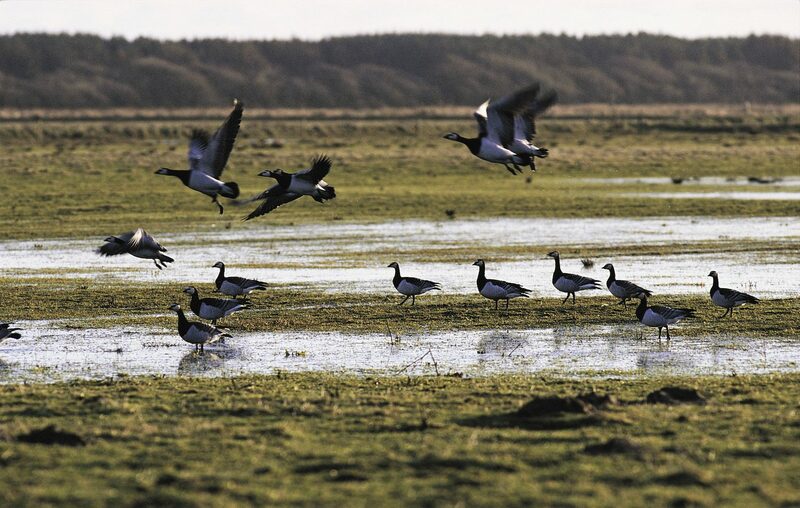 A quarter of the planet’s Svalbard barnacle geese spend the winter here on the Solway estuary. 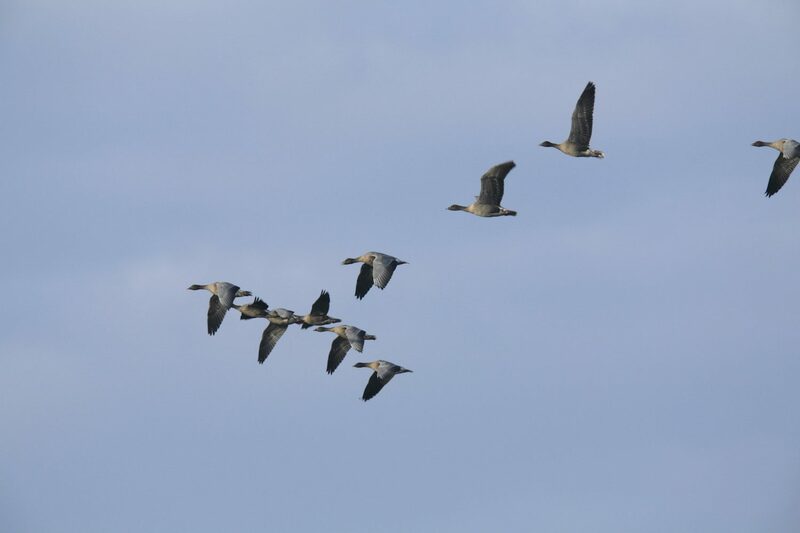 Greylag geese, golden plovers, lapwings and whooper swans, attracted by the expanse of open water, fens and wet grassland can be seen here in the winter. 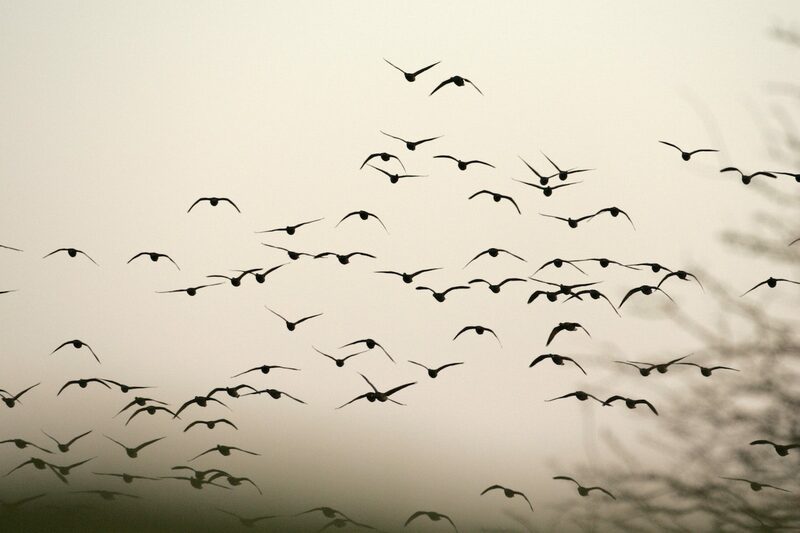 The RSPB reserves here are amazing places for admiring pink-footed geese, wigeons, teals and other wildfowl in winter, along with big flocks of golden plovers, lapwings and black-tailed godwits. 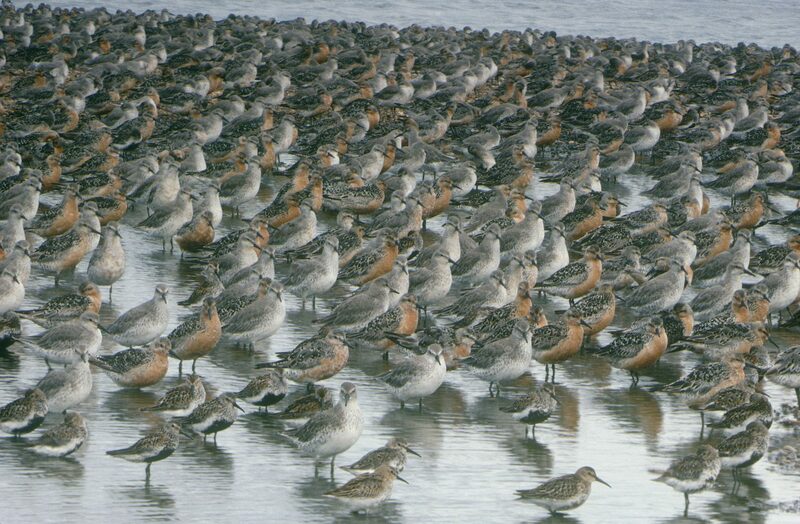 With RSPB nature reserves from Frampton Marsh and Freiston Shore and along the coast through Titchwell, Snettisham and Minsmere this is one of the best places in the UK for watching birds in winter. 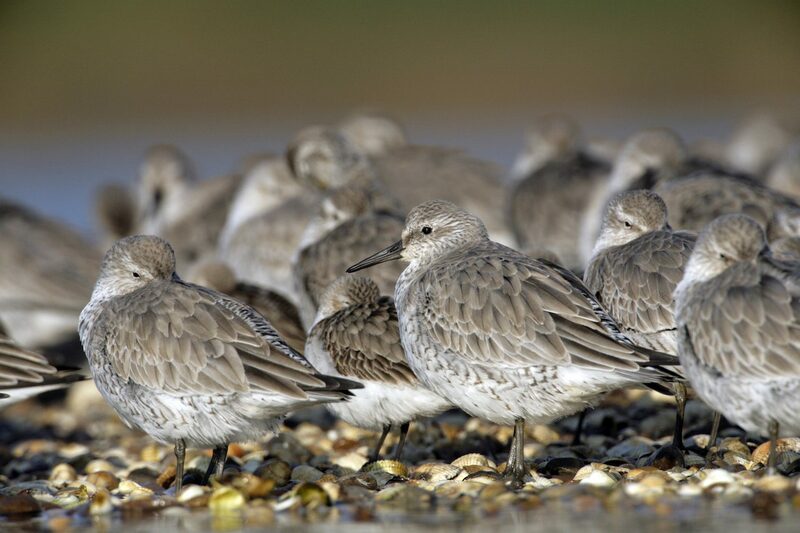 There are wader flocks, seaducks off shore and pink footed geese grazing – so much to see.